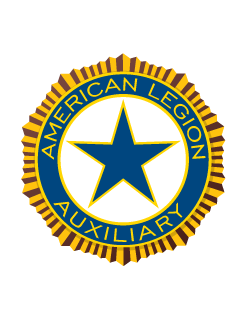 The Auxiliary is a major sponsor of the Lady Lake Little League. Download their Spring 2019 game schedule HERE. We have changed our General membership meeting time to 6:30 PM first Wednesday of every month. Come early at 5:30 PM for social time and refreshments. Unit 347 is collecting Kohl Stuffed Animals and Books for our Police and Fire Depts. Also, personal items for the school nurse such as mouthwash, deodorant, toothpaste and brushes, combs, brushes, etc. Have you played the Auxiliary bar bingo game on Wednesdays in the lounge around 2PM? Cards are $5 each. Open to members of Post 347, the "World’s Largest Post in the World", unit and squadron and their guests. 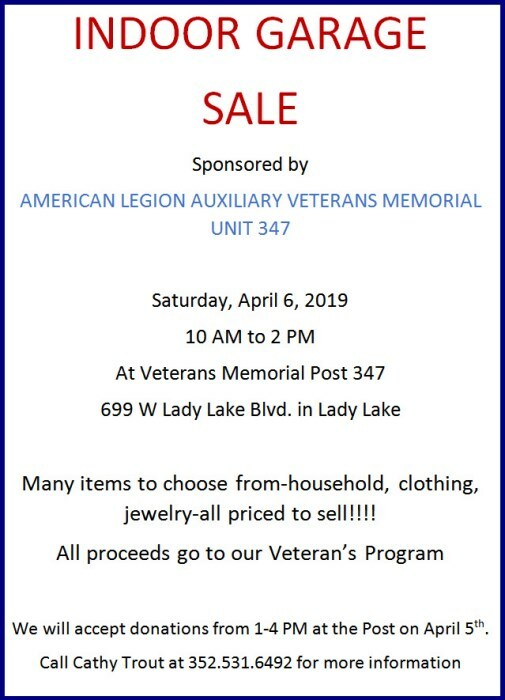 All proceeds support our Veteran Programs. or drop a check off at the Legion office Mon-Fri 9 am to 4 pm. Please include your name, address, phone number and a copy of your old membership card or put your membership number on the check. Please bring nonperishable food items every time you come into the Post and place in our bins. The food pantries are in dire need of food!